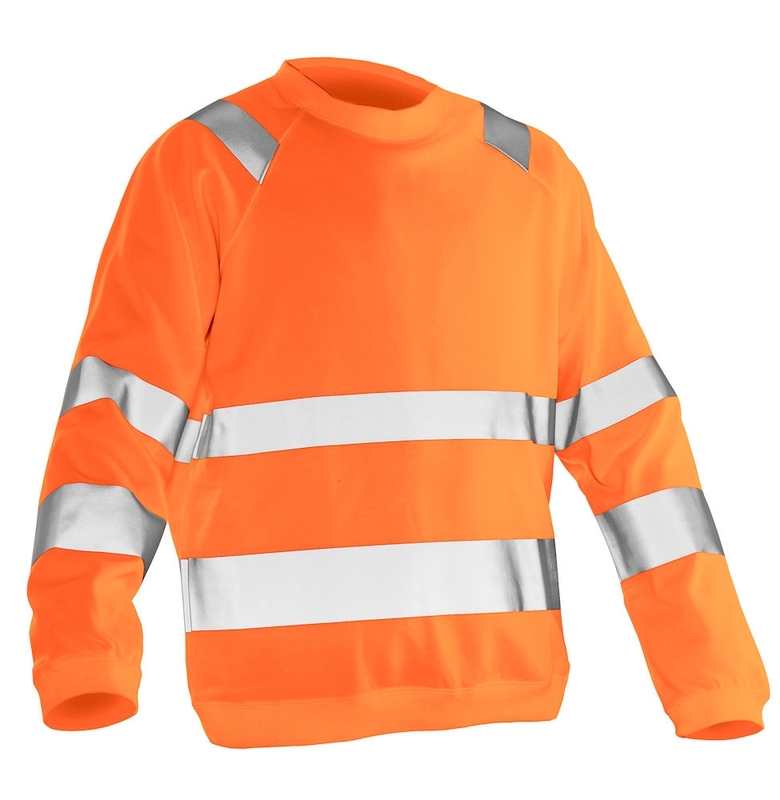 Hi-Vis sweatshirt with brushed inside. Ribbed neckline, hem and cuffs. Heat pressed seamless reflective strips. 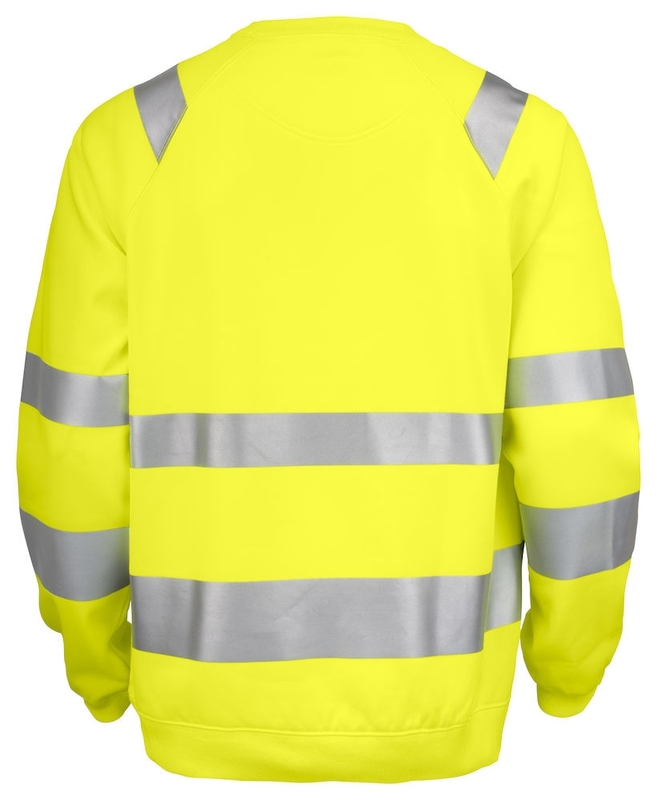 Reflective strips on shoulders, visible from above. Certified Class 3 according to EN ISO 20471. 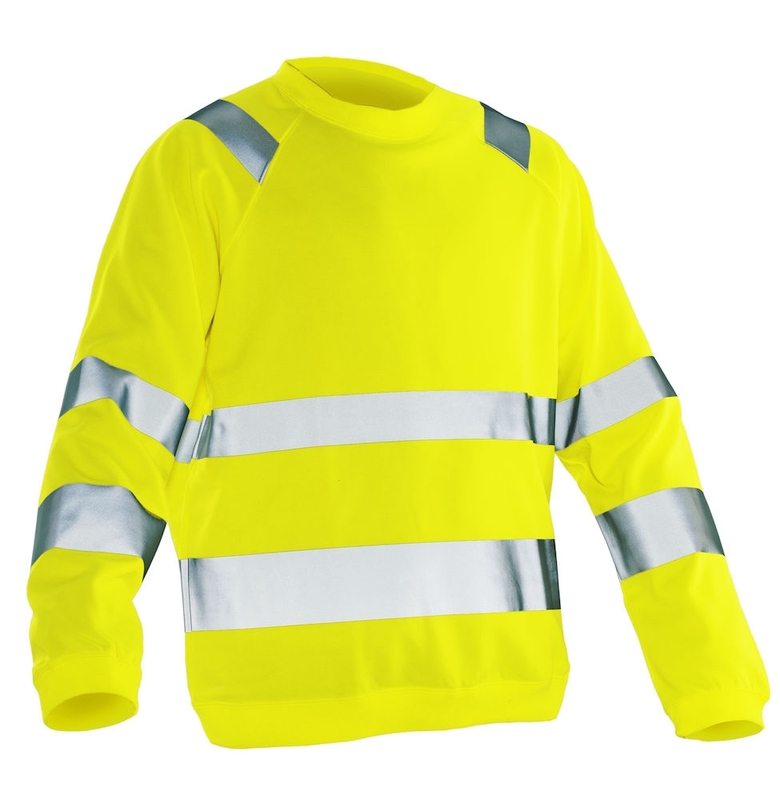 - Reflective strips on the shoulders ensure high visibility.